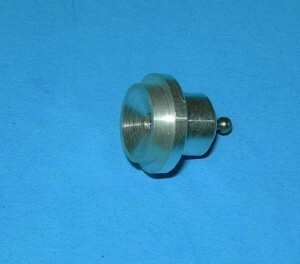 Glow button type head intended for MP Jet 1/2A size engines. Excellent for general applications. Designed for extra long life and dependability. Identify by yellow insulator. Long version. .20 displacement generally use long plugs as all larger engines do. 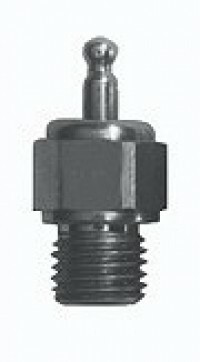 High temp seal for high compression and high temperature use. Identify by blue insulator. Long version. .20 displacement generally use long plugs as all larger engines do. Fireballs coldest plug. Designed for high nitro use. Identify by silver insulator. Long version. .20 displacement generally use long plugs as all larger engines do. Fireballs Hot plug. Designed for low and no-nitro use. 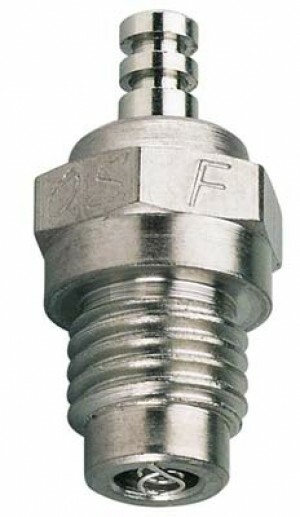 Fast starting plug, especially in winter. Great Idle. Identify by red insulator. Long version. .20 displacement generally use long plugs as all larger engines do. Tartan Glow Plugs 'TIL IT'S GONE! Factory New Old Stock Tartan glow plugs. We have only 3 of these. Marked $6.75. Get an original factory part for your Tartan restoration. 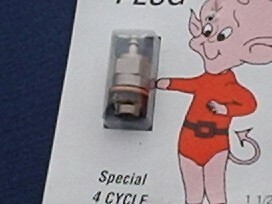 Factory part number (70323) shown above is printed on package label. 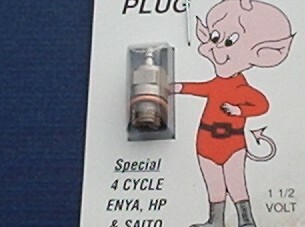 Sonic Tronics Special Design glow plugs for Non OS engines. Perfect for your Enya, Saito and HP engines. Sonic Tronics has long made some of the very best glow plugs. This model is without idle bar and long. Fits most glow engines down to around .15. Some .15 engines take a short. All .18 and up take a long. Save if you buy by the 1/2 Card or Full Card. Retail $3.99 each. Radical Discount! Fits all 12 and under engines. Some .15 engines. Non Idle bar. 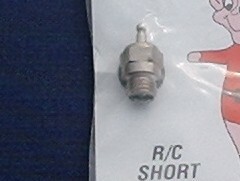 Standard Short glo plug. Glo-Devils are 1.5V Glow Plugs with high performance Platinum Elements designed to perform longer and better. The Standard Glow plugs do not have an idle bar. OSMG2691 Medium-Hot heat range O.S. 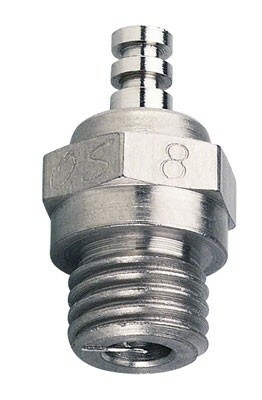 #8 glow plug. 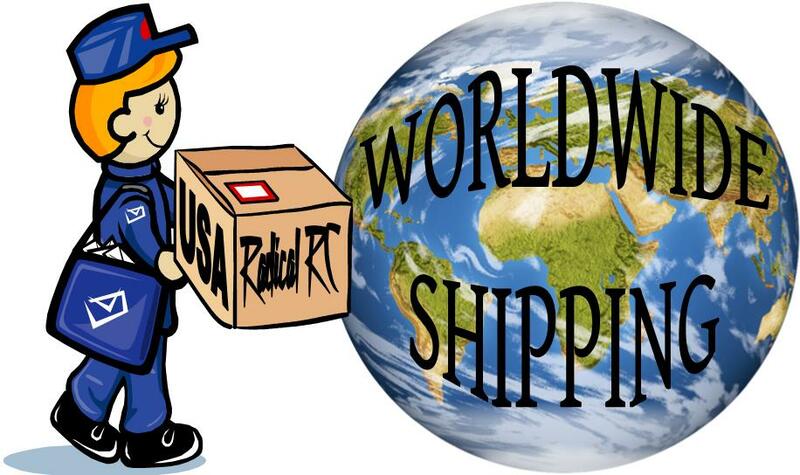 Most widely used of all O.S. plugs. Reccomended for most 2 stroke engines.